Brad Pitt in "Ocean's Twelve". Brad Pitt as Rusty Ryan in "Ocean's Twelve" a 2004 film.. HD Wallpaper and background images in the Brad Pitt club tagged: brad pitt rusty ryan ocean's twelve screencaps 2004 film movie ocean's 12 screen capture. 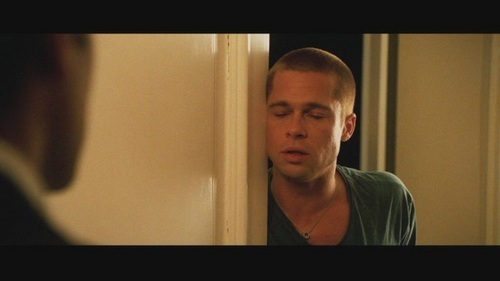 This Brad Pitt Screencap might contain picha, headshot, and closeup.